We are pleased to announce that the OSGi DevCon 2014 Schedule is now available. 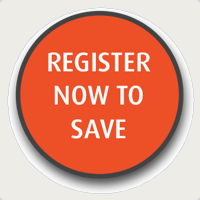 Register before April 19 to save $400 per ticket. Yes thats just 8 days away! Don't forget there is a group discount available if there are 3 or more of you registering at the same time. As you will see there is plenty to keep you busy for the 3 day conference (June 11 to 13) in New York. In addition attendees to OSGi DevCon 2014 also have full access to the QCon New York schedule which offers 5 tracks each day. Your conference pass also includes breakfast (8am to 9am) and lunch each day. Thanks to everyone who made a submission to the CFP. We really appreciate the time and effort that goes in to these. The quantity and quality of the submissions was extremely good which gave the Selection Committee a tough time in coming up with the Schedule. Thanks must also go to the Selection Committee for their assistance and time to produce the excellent Schedule for OSGi DevCon this year. We hope yo can join us in New York in June. As ever if you have any questions you can contact the Program Committee by email.